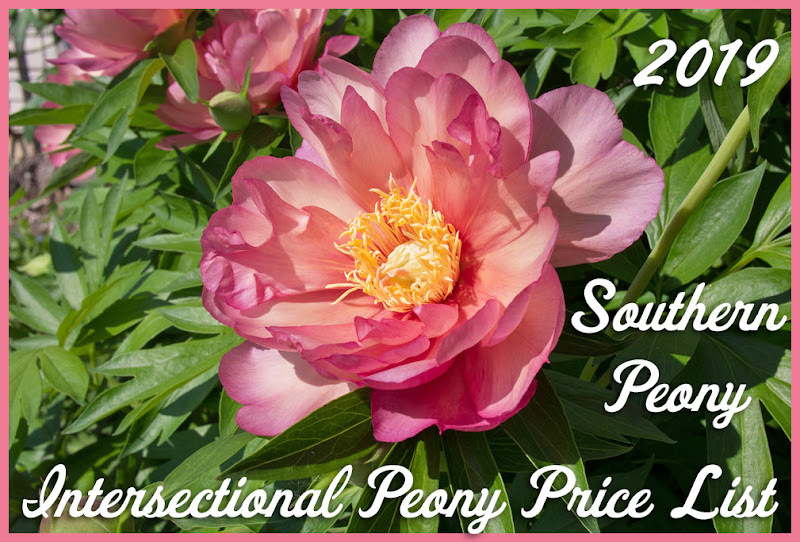 Southern Peony: 2018 Tulip World Offers Intersectional Peony 'Scrumdidleyumptious' for $12.95! 2018 Tulip World Offers Intersectional Peony 'Scrumdidleyumptious' for $12.95! Okay, I know this is probably bait, but I already ate a bite. So let's hope not. 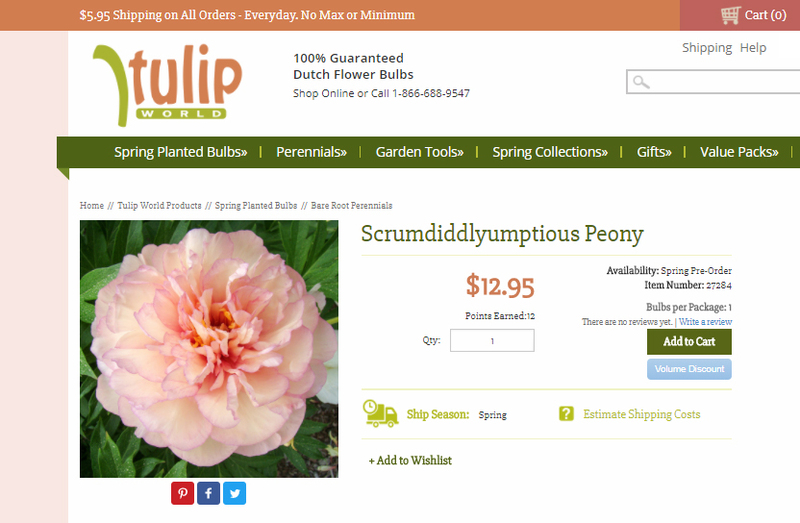 I have been looking for Intersectional Peony 'Scrumdidleyumptious' ever since Don Smith told me about it when I did the interview with him in 2016 Peony Hybridizer Interview - Don R. Smith. (If you haven't seen this interview yet, you really need to check it out - and the picture of 'Scrumdidleyumptious'!) 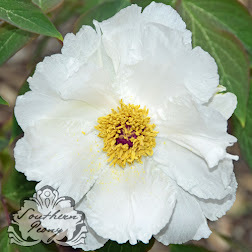 Anyway this gorgeous intersectional peony has so many petals in a lovely, pale peachy color and is supposedly highly fragrant. What more could you ask for?